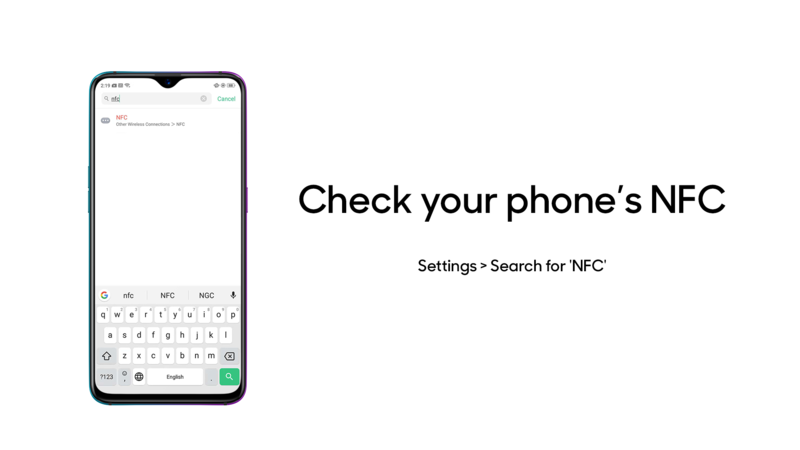 What is NFC in OPPO phones? When you want to make a payment or transfer data to another device, but you're out of credit and there's no Wi-Fi, NFC is a fast and convenient solution. NFC sends information over radio waves, similar to Bluetooth, but with its own unique advantages. 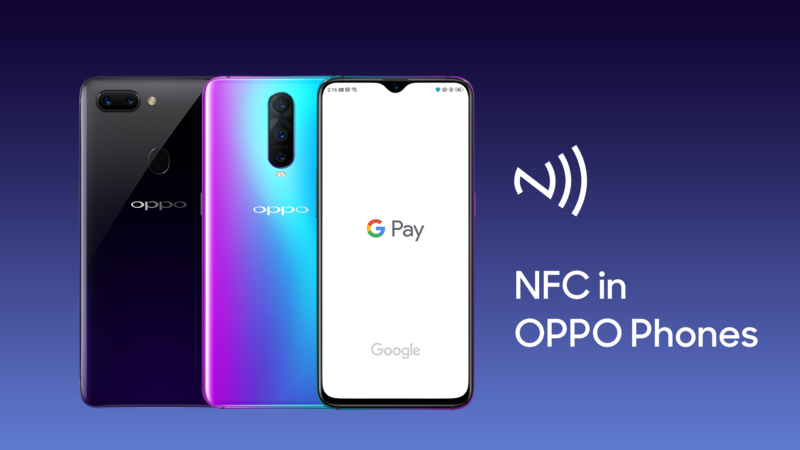 NFC is a common feature of Android phones and is included on a number of OPPO smartphones, including the new OPPO R15 Pro and R17 Pro. Find out more about this rapidly growing technology and how to make the most of NFC on your OPPO phone. What is NFC on a phone? NFC stands for Near Field Communication. It's a wireless technology that allows devices to share data at close range over radio waves. 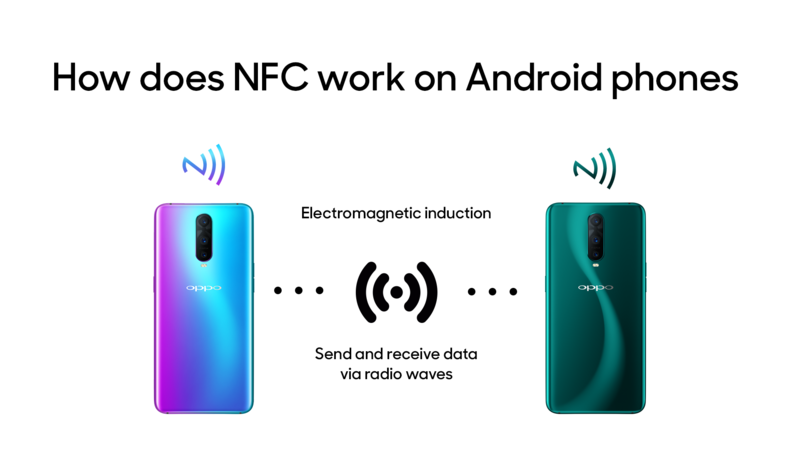 Phones equipped with NFC can send and receive small payloads of data at high speed using electromagnetic induction when touching or holding the phones close together. What is the purpose of NFC? Do you need NFC on phone? NFC is not necessary to use your smartphone, but it can be convenient if you want to use your phone to make contactless payments via Google Pay or you want to send and receive data without having to use your phone credit, mobile data or a Wi-Fi connection. How does NFC work on Android phones? NFC uses electromagnetic induction to send and receive data via radio waves. It uses a standard set of protocols, so any two devices equipped with NFC will be able to communicate with each other, regardless of their manufacturer. NFC-enabled smartphones function the same as contactless cards when making payments. They can read NFC tags on menus, posters and other surfaces that don't require a power source of their own to access information. They may also be able to write NFC tags using the right apps. How far does NFC work? NFC only works at close range. To use NFC reliably, your phone should be within 4 cm of the other device or reader, but NFC can have a maximum working range of 10 cm or over on some devices. This is a shorter reach than some other RFID technologies. Is NFC the same as Bluetooth? 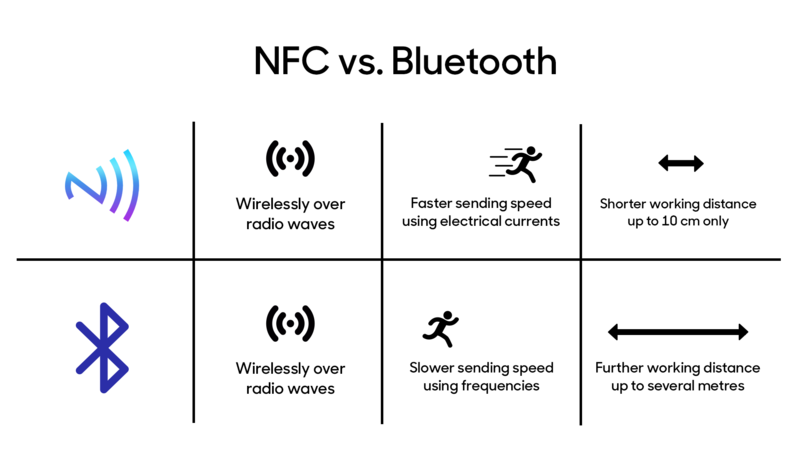 NFC works on a similar principle to Bluetooth and other technologies that transfer data wirelessly over radio waves, but there are some notable differences. NFC is faster than Bluetooth and uses electrical currents to send data. Its range is smaller than Bluetooth's however, with a maximum working distance of around 10 cm compared to several metres for Bluetooth. RFID (radio-frequency identification) covers a wide range of technologies that use radio waves to send and receive data. High-Frequency (HF)-RFID operates at a frequency of 13.56 MHz. NFC is a specialised type of HF-RFID that can only be used by compatible devices. How do I find out if my phone has NFC? How do I set up NFC? 2. Check whether NFC is already enabled. If not, toggle the slider to on. 3. This should automatically enable Android Beam. If not, tap Android Beam and select Yes to activate. How do I use NFC on my phone? Your phone will notify you with a sound and vibration when it detects another NFC enabled device within range. You'll also be alerted when your data has transferred successfully. NFC allows users to send phone numbers and contact details to another phone without having to enter details manually. To do this, just open the contact you want to share, touch the phones together and tap to beam. 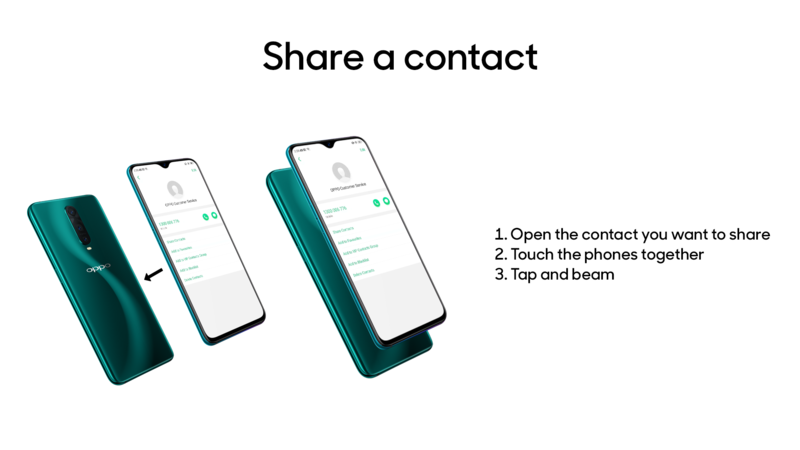 The contact you send will be saved to the other device's contact list. To send a photo or other image on your phone to someone else, simply open the image in your preferred image app, place the devices together, then tap to send when prompted. If you want to send an ebook, PDF or other document, you can use Android Beam. Find the document on your smartphone, then open the Settings menu and select Share > Android Beam. Place the devices within range and the file will transfer. Simply touching the devices together may send the document reader app rather than the document itself. You can't send an app directly to someone else's phone, but when you open the app and touch your phones together, you can direct them to the app on the Play Store so they can install it themselves. If the other phone already has an app installed, you can open it by beaming the app from your phone. 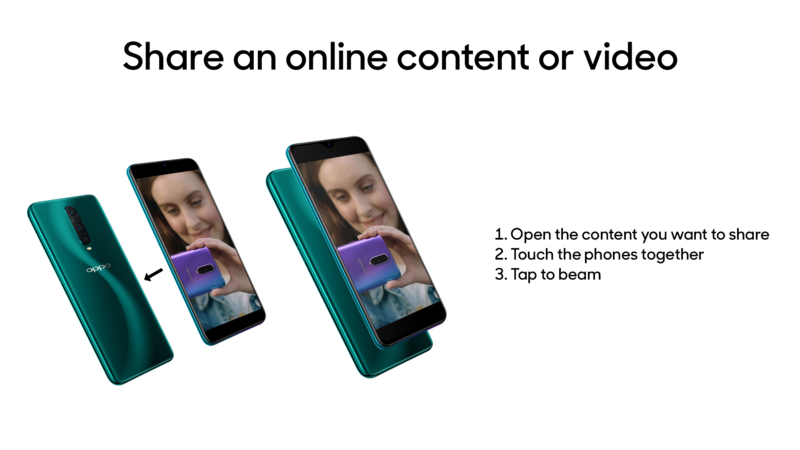 If you want to quickly direct someone to a webpage or YouTube video, touching your devices together when you have the content open will go to the address on the other phone's browser or YouTube app. 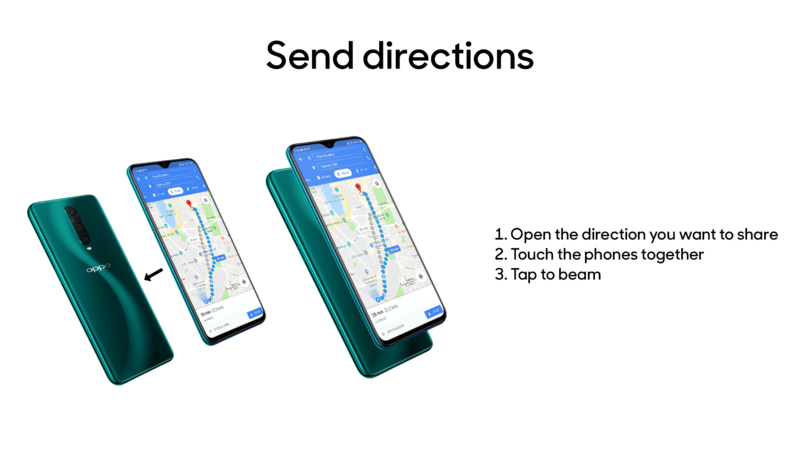 If someone needs directions and you know the way, you can create directions on Google Maps and beam these to their phone. You will need to download Google Pay to make mobile payments over NFC. Install the app and make sure your payment details are saved, then hold your phone close to a contactless payment terminal and tap to pay. If you come across an NFC tag, hold your phone close and use Android Beam to scan it automatically. You don't need a dedicated scanner app like with QR codes. Should NFC be turned on or off? NFC needs to be turned on before you can use the service. 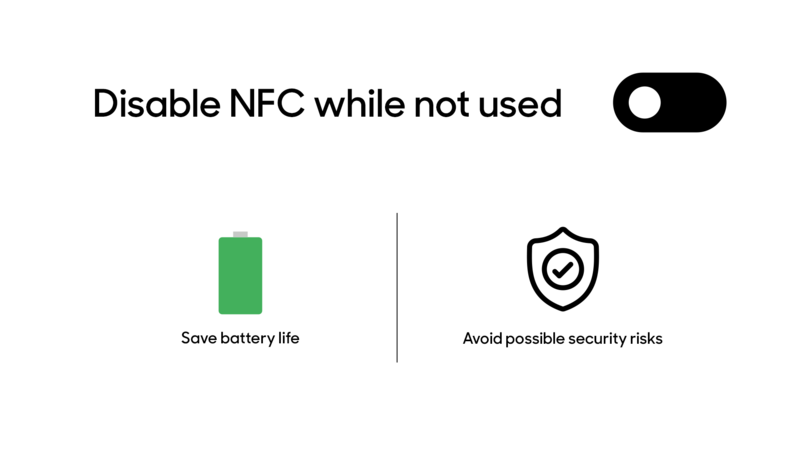 If you're not planning to use NFC, it's recommended that you turn it off to save battery life and avoid possible security risks. While NFC is considered safe, some security experts advise switching it off in public places where it may be vulnerable to hackers. Does NFC need to be on for Google Pay? Google Pay is a fast and secure way to pay for purchases online and in stores, restaurants and coffee shops. If you want to make contactless payments with Google Pay, you'll need to have an NFC-equipped phone and to make sure NFC is turned on. Like all phone services, running NFC does have a drain on the battery. However, the effect on battery life is negligible if it's only running in the background. If you don't use NFC, you can save your battery life by going to Settings and turning it off. 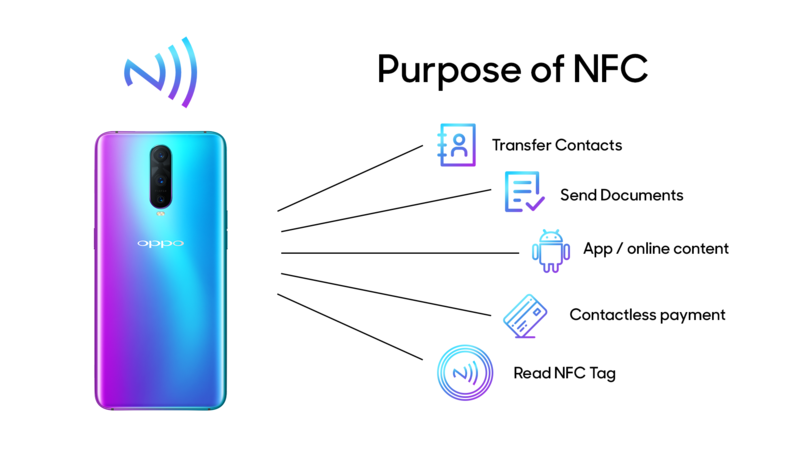 NFC connectivity is already a selling point for many smartphone buyers and will become ever more in demand as the technology matures and becomes more widely understood. NFC tags will be an increasingly common sight in stores and on restaurant menus to provide more information to customers. They may also be used in the home to control devices and smart appliances with convenience. What percentage of phones have NFC? NFC use is growing every year. NFC Forum estimates that over two billion NFC-enabled devices were in use worldwide in 2018, and the market is expected to grow by 17.9% over the next decade. NFC is primarily associated with Android phones, but is also available on other devices. 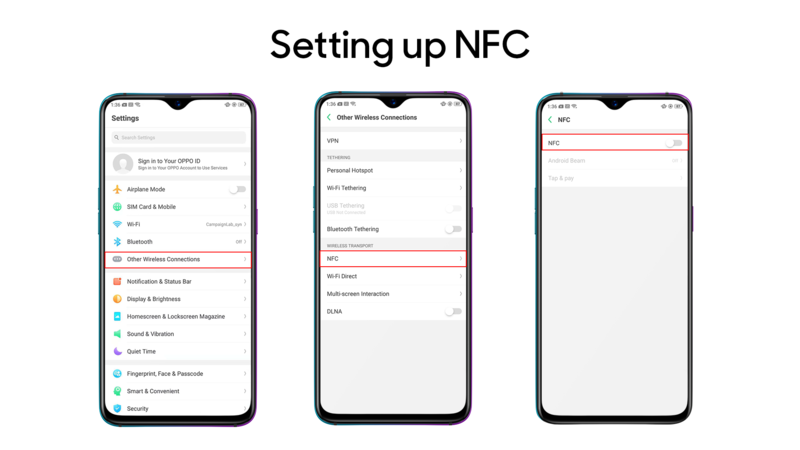 If you want to know more about how to use NFC on OPPO or where to buy OPPO phones with NFC, contact our support team today or find your nearest service centre.